If you are interested in food sources, nutrition, GMOs, and the “eat local” concept, you should read this article and the comments. After buying some bananas at Target today, I found myself wondering if they were a point of contention being that they are one of the most popular fruits in America yet aren’t grown here. Quick Internet search: yep, they can lead to some pretty contentious discussions. The comments here touch on everything from basic nutrition facts (how much potassium does a banana have?) to “banana republics” to ethylene gas to red state vs. blue state rancor. Many “facts” are posited, questioned, debunked, reasserted. Apparently, sometimes a banana is more than just a banana. The more you can learn about the food you eat and where it comes from, the better educated and healthier you will be, in general. Get the facts (from a trustworthy source) and decide for yourself, about bananas or anything else. For me, this article is a jumping-off point to investigate a slew of things I’ve wanted to know more about. 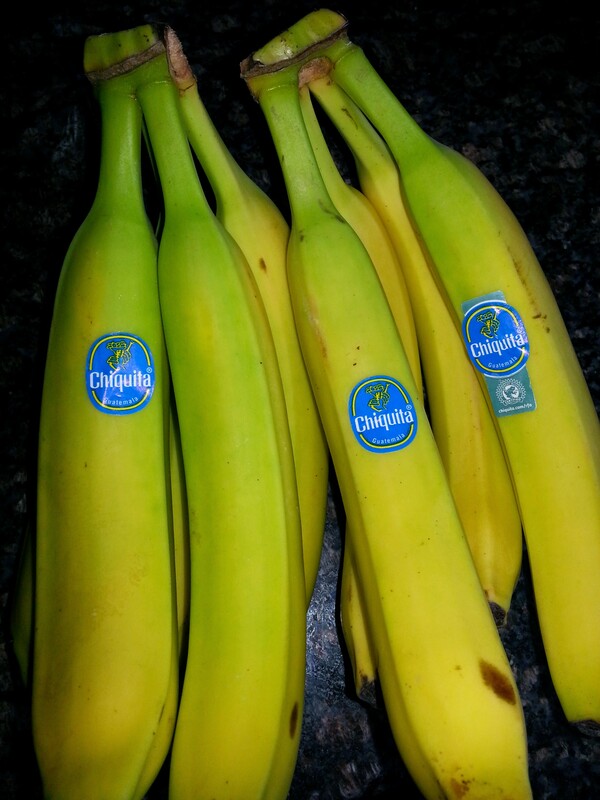 Here are the bananas I bought today. 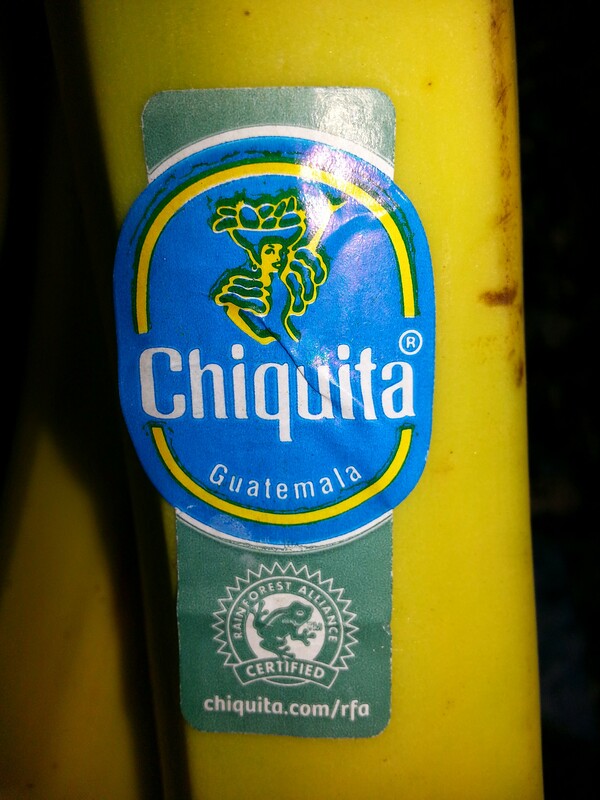 You can see one sports a “Rainforest Alliance Certified” sticker. What does that mean? Many thanks to my two little kids for taking a tandem nap for the first time in ages, and allowing me to post this. We generally try to go for Fairtrade, organic bananas, if we have to buy any. If you can’t buy local, those two standards seem to be the best to go by. This is an excellent article. That sounds reasonable. Which reminds me that the new Whole Foods market has finally opened near me, and I need to go check it out. Thanks for commenting!